This entry was posted in Brandon Cash and tagged Disney, Mickey Mouse, Minstrelsy, steamboat bill, Steamboat Willie, turkey in the straw, Walt Disney by Brandon Cash. Bookmark the permalink. 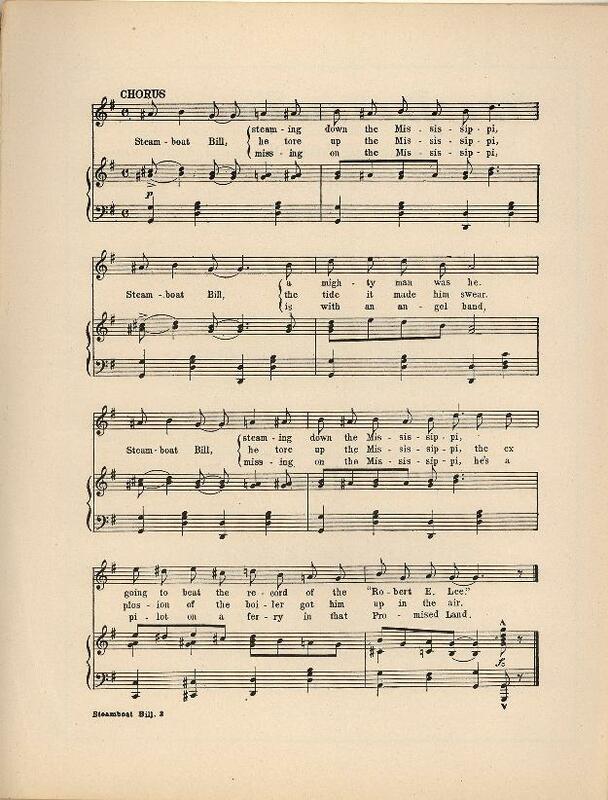 Thanks for digging up the name of the tune that opens Steamboat Willie – now I’m curious to know more about “Steamboat Bill.” Is its syncopation merely incidental, or does it evoke origins in minstrelsy? 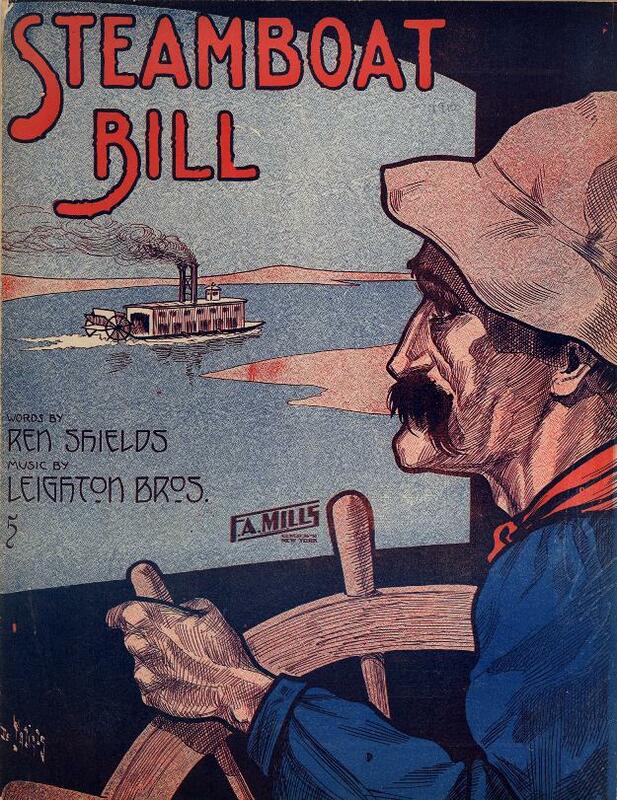 Is the “Bill” in question a figure made up for the song, or does he have a more extensive history? 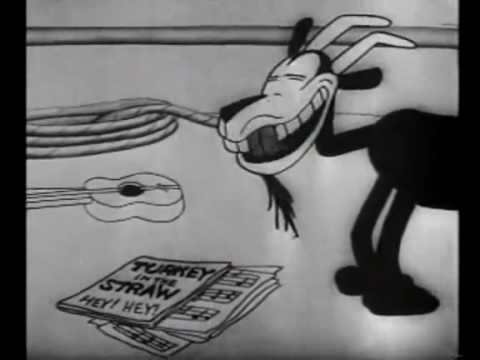 I’m also glad you spent some time at the end thinking about the significance of Mickey’s antics, particularly during the “Turkey in the Straw” segment. 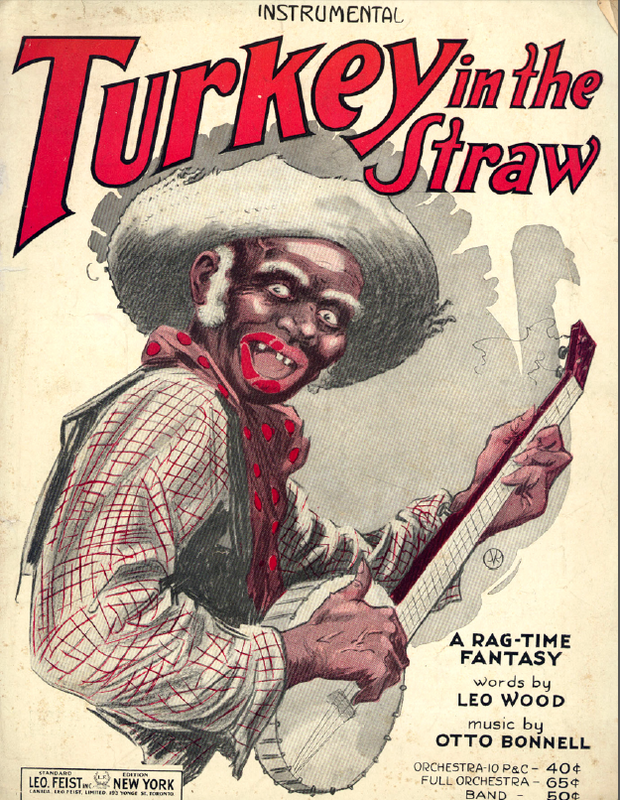 I wonder whether the first audiences of this cartoon would have recognized that melody and his performance as a call-back to minstrelsy, or whether they (like us) would have already forgotten the 19th-century history of “Turkey in the Straw.” Minstrelsy was still on stage in certain places in the 1930s, so I have a hard time believing that Disney himself didn’t know what he was doing. Do you think this changes our approach to Mickey in 2015, or is it just an interesting piece of historical trivia to file away with so many others?